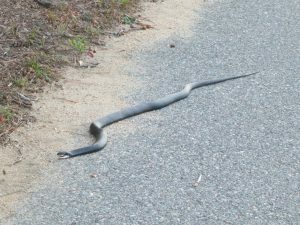 The Massachusetts State Wildlife Action Plan (SWAP) ranks the black racer as common across the state, but it is listed as a priority species because these snakes are declining in abundance everywhere (Mass Wildlife Action Plan, Chapter 3, p28). 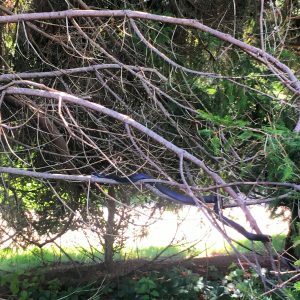 Martha’s Vineyard is no exception as many islanders report capturing these snakes for fun as children but have not seen one in over twenty years. 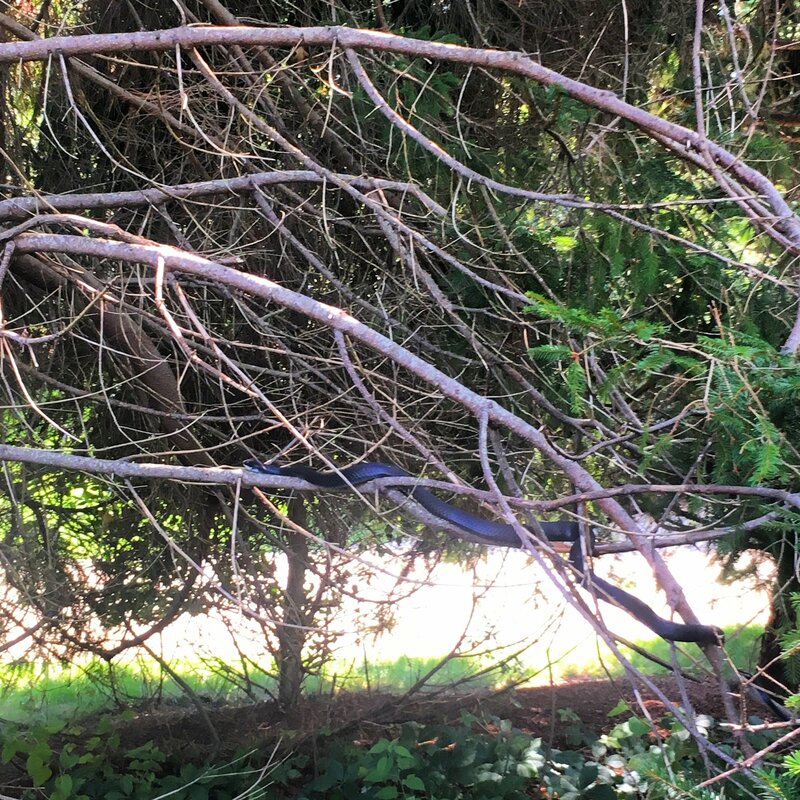 While they used to be abundant in the town of Oak Bluffs 50 years ago, we have not had a report of this snake from that town or from Vineyard Haven in the last decade. 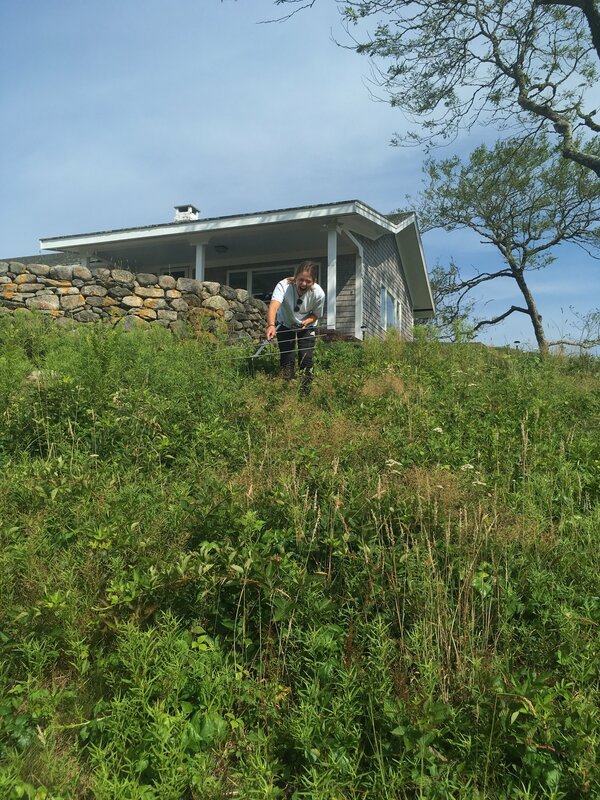 All snakes found on the island of Martha’s Vineyard are harmless to people and pets, and they are beneficial to have around your yard as milk snakes and black racers both eat rodents, such as white footed mice, that contribute to tick borne illnesses. 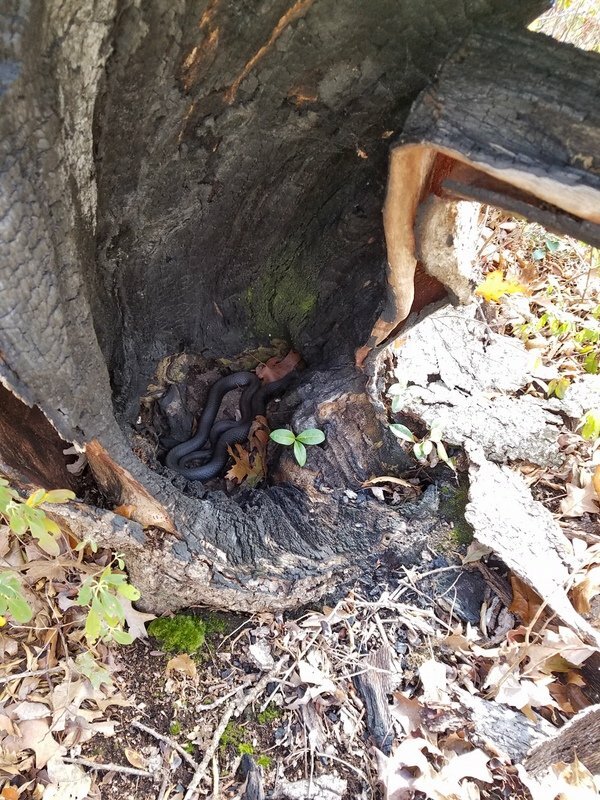 Audrey, an adult female black racer, we tracked at Long Point Wildlife Refuge for 1 year. 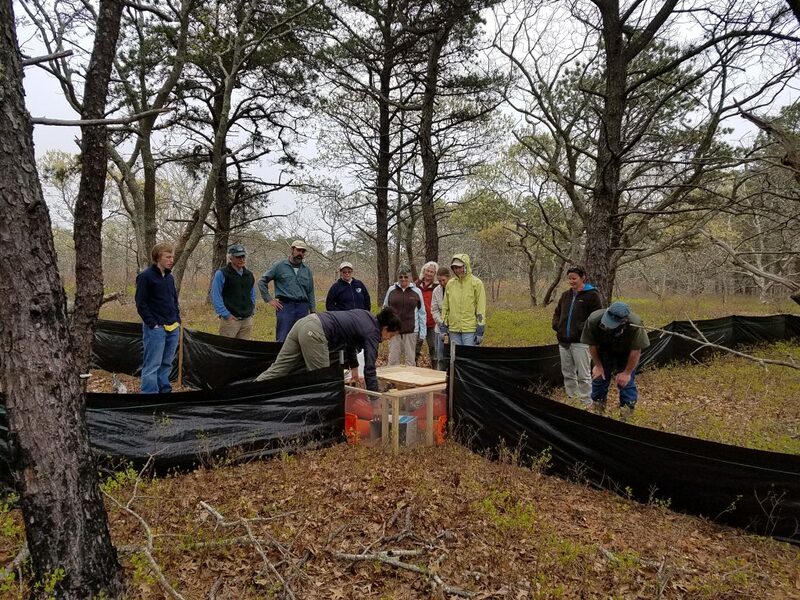 In 2014, we began a community outreach effort to locate black racer populations on the island in order to capture a few for a radio-telemetry study of their habitat use and movements. 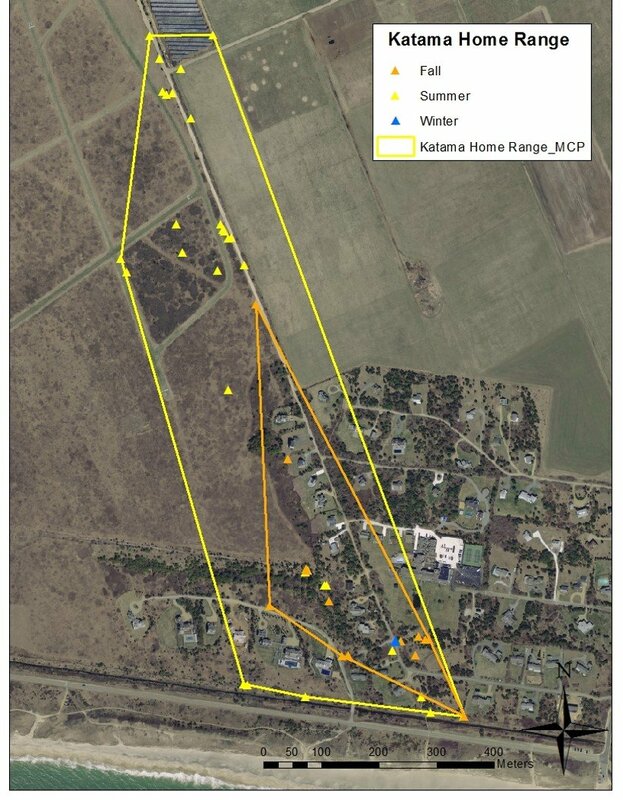 Community response was very positive and we were able to identify core areas of racer occurrence for our study. 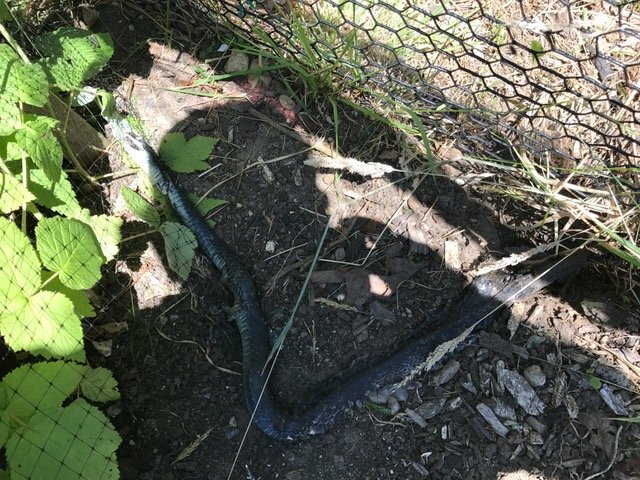 All of the black racers we have captured or that were reported to us were within 3 miles of the South shore of the island. 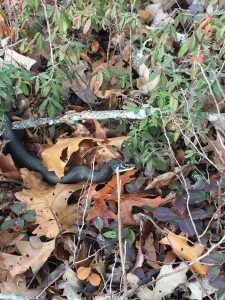 We track the signal of our black racers until we get as close as possible without disturbing them. They are not always visible, but we are typically within 1 – 2 meters. We have found them in shrubs, up in trees, inside stumps, copulating, and out hunting. 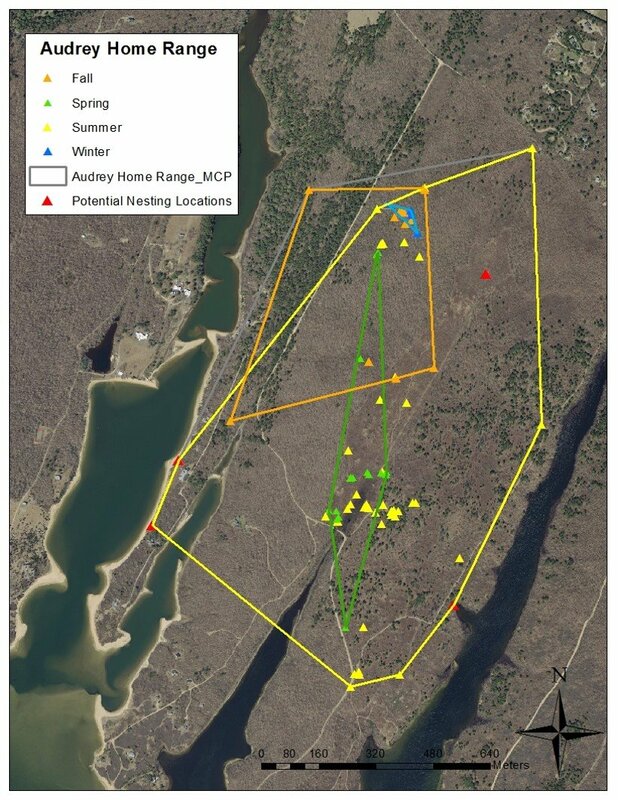 Data from our first two snakes has already provided valuable information on racer habitat use, and the factors influencing their home range and movements on the island. When Audrey was seeking a place to hibernate, she had many options to choose from. 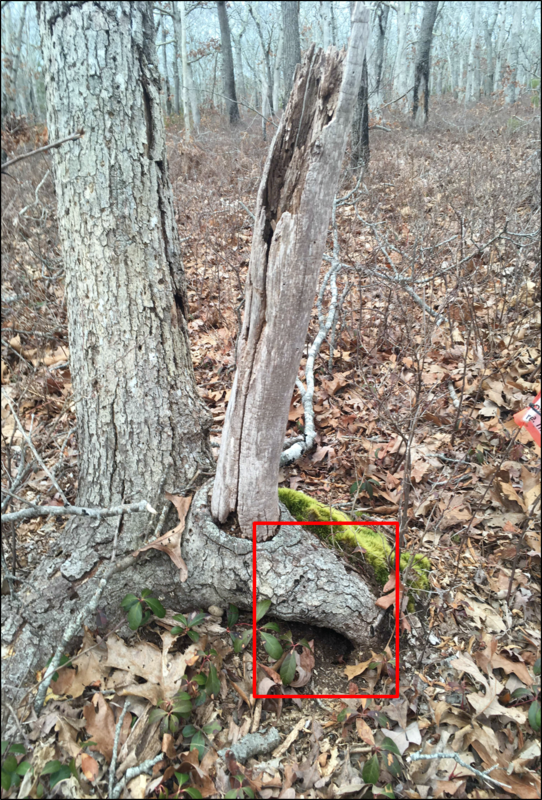 The oak and pine forest adjacent to the shrublands she was using had many tree roots with rodent burrows that would allow her to overwinter below the frost line. Audrey visited multiple burrows before settling down for a long winter’s nap. Katama, however, visited a burrow under a road in October and was seen basking near it on several occasions before she began her winter hibernation. It’s possible that Katama had fewer choices as her habitat did not have much pine/oak forest. Stay tuned for updates on the movements of our two current black racers. 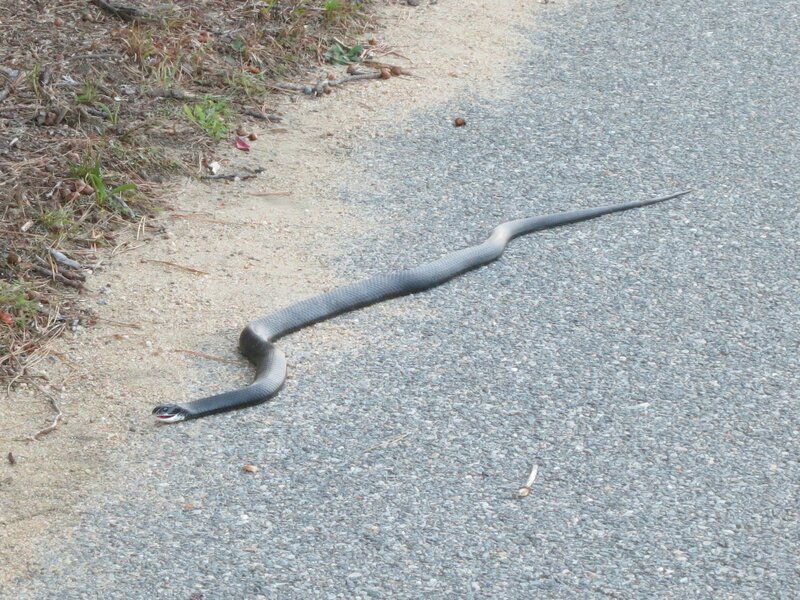 Adult black racers are the largest snake on the island, reaching lengths of 4 to 6 feet. 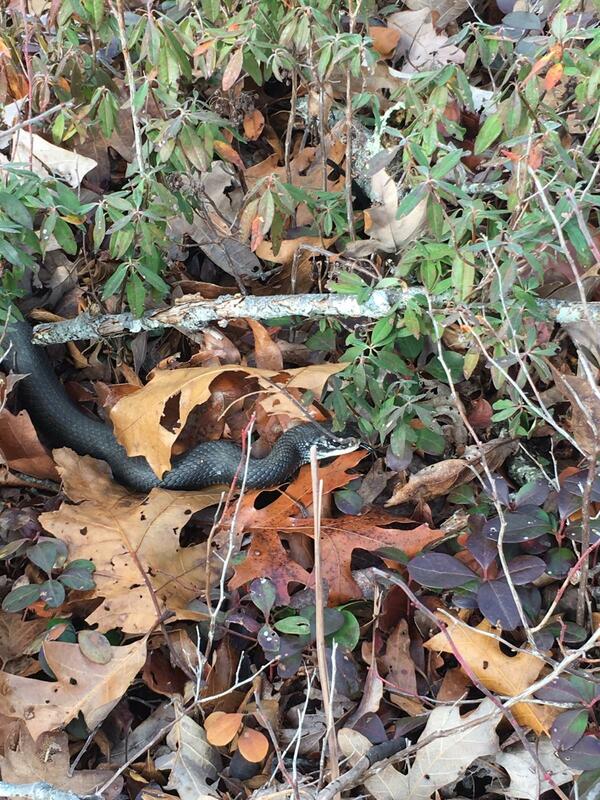 On occasion, a large black racer has been mistaken for a garden hose! Sadly, some of these beautiful and harmless snakes are killed by landscapers or homeowners who believe them to be dangerous. Others are run over by vehicles when basking on dirt or paved roads or die tangled in fruit netting in gardens. 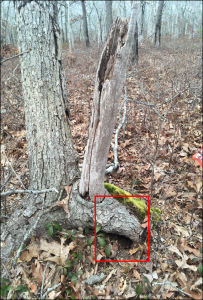 Another factor limiting their populations is that they require large tracts of habitat with some open/early successional habitat that are are less available today. Black racers, like turtles, may experience high rates of egg predation from predators (raccoons, skunks, and crows), whose populations are abundant due to human food subsidies. If you use netting to protect fruit in your gardens, please use a small mesh size (less than 1/2″) as the larger mesh is a death trap for the large black racers that sometimes hunt mammals and birds in fruit patches. Watch for snakes crossing roads or basking on roads. Stop to help them. Support habitat conservation by supporting open space protection through your votes and your donations. Visit a local library and pick up one of our snake bookmarks to learn how to identify our snake species.